Don't Let Your Pool Just Sit There, Heat it With Propane! Phoenix homes, resorts and hotels are famous for their pools. During the winter months, you can use propane to provide the heat necessary to allow for comfortable swimming all winter long. Many of the hotels and resorts depend on their pools as winter visitors want to have the ability to play in the pool during their vacations. Spas, regardless of the time of year do need to be heated to provide their therapeutic advantages. There is nothing better than relaxing in a nice warm hot tub to erase the stress of the day. Plus, people with medical issues depend on a nice warm hot tub in order to control their problems. The team at Propane Services specialize in the installation of propane tanks and gas lines to home and business owners throughout the Phoenix metropolitan area. 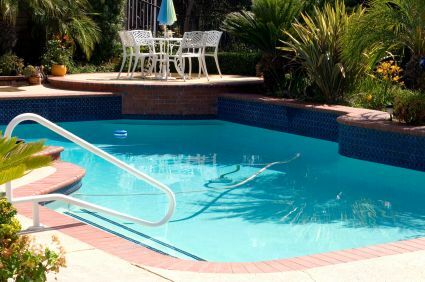 Our expertise allows us to properly place tanks, whether buried or above ground, and run gas lines to pool and spa heaters that preserves the beauty of your home. Propane powered pool and spa heaters are a more efficient method of heating. Plus, it is easier to control the temperature and provides quick heating for pools and spas. Another benefit of propane is that it is clean burning and environmentally friendly. 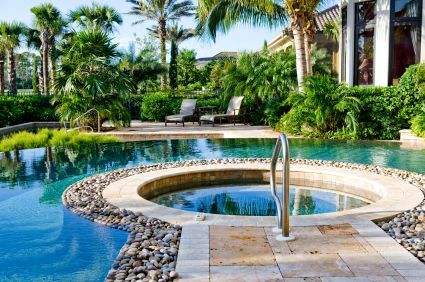 One of the pool and hot tub experts from Propane Services will be more than happy to come to your home or business and discuss the benefits of propane with you, and inspect the property to decide the best method of installing a tank and gas lines. Just call us at 623-643-0190 to schedule a time to meet with you. Using propane to heat your pool or hot tub is safe and reliable. Learn more at Propane Safety. We often get many questions about using propane from home and business owners. To see some of the most common questions along with answers, please visit Frequently Asked Questions.